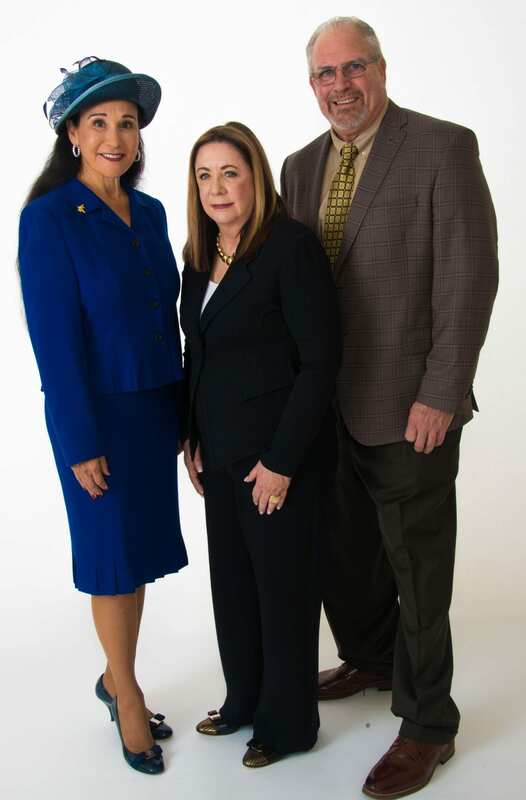 FORT LAUDERDALE/DAVIE, Fla. – Nova Southeastern University’s (NSU) H. Wayne Huizenga College of Business and Entrepreneurship is proud to announce three well-known business leaders who will be inducted into the 2019 class of the Entrepreneur and Business Hall of Fame, the Huizenga Business College’s highest honor: Rita Case, Rob Kornahrens and Arlene Pecora. The H. Wayne Huizenga College of Business and Entrepreneurship’s Hall of Fame program is celebrating its 29th year in 2019. The event is being chaired this year by three former honorees and well-known South Florida entrepreneurs: Rick Case, Keith Koenig and Alan B. Levan. Rita Case is President and Chief Operating Officer of Rick Case Automotive Group, an organization of 16 dealerships in three states with more than one billion in sales. The company’s Florida Honda, Hyundai, VW and Kia dealerships are the largest in the United States. Rick Case Automotive Group has been recognized for its retailing success, earning multiple accolades throughout the years. Rita has been individually recognized for her contribution to the auto industry, earning many major achievement awards including Leading Women in the North American Automotive Industry. She is dedicated to customer service and community support and has been honored by many local organizations for her philanthropic efforts. Rita is passionate about all her philanthropic and community support such as with NSU, the Boys & Girls Clubs of Broward County, Habitat for Humanity and the American Heart Association to name a few. Robert P. Kornahrens serves as Chief Executive Officer and President of Advanced Roofing, a commercial roofing contractor based in Fort Lauderdale. Kornahrens is very active in a variety of professional associations and community organizations, including the National Roofing Contractors Association and Florida Roofing & Sheet Metal Association. He has also served as Board Chair of the Seminole Hard Rock Hotel & Casino Winterfest Boat Parade, President of the Executive Association of Fort Lauderdale, President of the Construction Executives Association and board member of the Center for Environmental Invention in Roofing. He has been awarded the Habitat for Humanity Spirit of Humanity Award, the Junior Achievement Laureate, Sun Sentinel Excalibur Award and the Fort Lauderdale Alliance Education Award. At NSU, Rob is actively involved in many ways such as serving on the Dean’s Development Council in the Halmos College of Natural Sciences and Oceanography. He is a long-standing supporter and participant in the Halmos Scholarship Fishing Tournament and served as co-chair of the committee in 2017. Arlene Pecora is President and Chief Operating Office of Signature Grand, a premier venue for weddings, special events, charity galas and business meetings in Broward County. Under her leadership, Signature Grand has set the standards for memorable events and over-the-top customer service. In keeping with her strong values of community service, Arlene has served on many non-profit boards and committees in Broward County, including Women in Distress, Community Foundation of Broward County, the Greater Fort Lauderdale Alliance and others. She has also received many accolades for her leadership including being inducted into the Junior Achievement Laureate and earning the Sun Sentinel’s Excalibur Award. Arlene is a two-time alumunus of NSU’s Huizenga College having earned her B.S. in Hospitality Management in 1999 and an MBA in 2001. There are several sponsors for the event including: Advanced Roofing; AutoNation; BBX, Berger Singerman; Castle Group; City Furniture; Codina Partners; Entrepreneur Council; Falcone Group, LLC; Halmos Holdings, Inc.; Hudson Capital; Lago Mar Beach & Resort Club; Mahoney & Associates; Medina Capital; Miller Construction; North America LLLP; Penske; RCC Associates & Altman Company; Resolve Marine; Rick Case; Signature Grand, and Zimmerman Advertising.